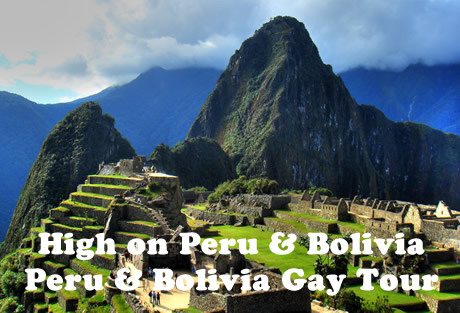 Lima, Cuzco, Sacred Valley, Yucay, Machu Picchu, Pisac, Puno, Lake Titicaca, Copacabana, Tiahuanaco, La Paz, and more! Follow in the footsteps of the nineteenth-century travellers who wrote of soaring Andean peaks plunging into luxuriant Amazonian canyons of orchids, pythons, and jaguars. 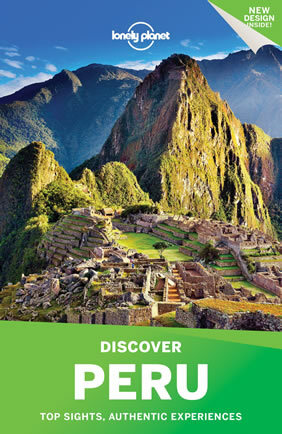 Immerse yourself in Peru, home of the richest treasures, the bloodiest conquests, and the most advanced ancient civilizations. 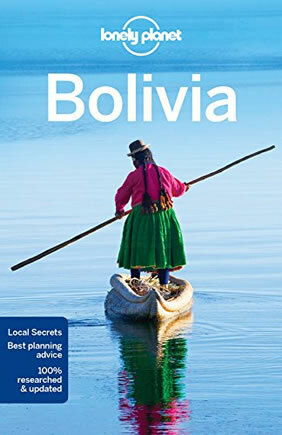 Neighbouring Bolivia remains one of the most indigenous countries on the continent; meet people descended from the Incas, speaking the languages of the ancients, playing traditional music on armadillo-shell guitars. Taken together, these friendly neighbours offer unparalleled richness in culture, nature, and landscape. This morning we start our tour with a visit to San Francisco's Church to visit the extensive catacombs that lie underneath. We then continue to the Plaza de Armas, the most important plaza in Lima. The oldest surviving part of the plaza is the impressive bronze fountain, which was erected in 1650. Surrounding the plaza is the exquisite Archbishop's Palace, the cathedral, and the Government Palace where handsomely uniformed presidential guards are on duty all day. We visit the cathedral where the great conquistador Francisco Pizarro's tomb lies. After taking some free time for lunch in one of the many outdoor cafes, we head to the trendy area of Miraflores, where people love to stroll along the cliff tops overlooking beaches, and watch the sun setting on the Pacific Ocean. The best location is the new "Love Park" with its magnificent monument to lovers at its centre. 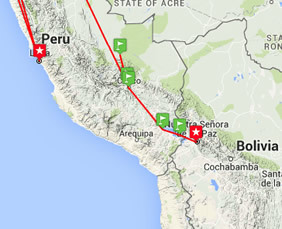 Today we take the early morning train from Urubamba to Aguas Calientes and Machu Picchu. The train journey to Machu Picchu is a highlight of any trip to the Andes; the scenery is simply spectacular, and the train allows you to enjoy it in comfort. The +/- 3 hour trip takes us through a changing landscape with wonderful vistas of the mountains and, deep in its dramatic canyon, the beautiful Urubamba River. Our early arrival from Urubamba ensures that we are at the site before the tourist throngs arrive on the train from Cuzco later in the morning. After our tour, you may choose to proceed to the hotel or remain on the site for some independent exploration (your ticket is good for the day), and return to the hotel on your own using the return portion of your bus ticket. In the early morning of our second day at Machu Picchu, most group members choose to take the bus back up to the site with the weather-dependent hope of seeing the mist-clad mountains greet the morning sun. Weather notwithstanding, the best thing about going up the second day is being there early when there are fewer people, allowing time to "soak it in," as well as the opportunity to climb Huayna Picchu and/or to the Sun Gate (approximate optional costs to revisit the site today: bus 12 USD round trip, and 40 USD site entrance, payable locally). 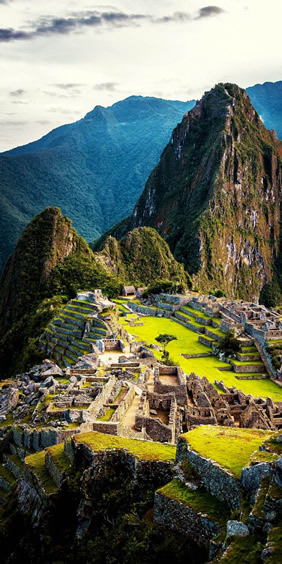 During our time at Machu Picchu, we will also include a visit to the Manuel Chavez Ballon Site Museum, which focuses on the "discovery", excavation, and history of Macchu Picchu. On display are historical photos, including photos of Hiram Bingham at Machu Picchu shortly after he came across the ruins, informative write-ups on the construction of Machu Picchu and the life of the Incas, and artifacts found at the site. Outside the museum is a very lush botanical garden running along the river; some plants are labeled and there are a few short trails. This is a nice shady area to rest on a hot day and is an easy 25 minute walk from Aguas Calientes down the road leading to Machu Picchu. Sacsayhuaman is an impressive complex which, like so many others of that time, had both a religious and military purpose. The fortress known as the 'storehouse of the sun' incorporates some of the largest stones ever used in a building. The zig-zag walls represent the teeth of the sacred puma and provide an excellent defensive structure. The stones fit so perfectly together without mortar that not even moss can grow in the cracks! We also visit ruins at Tambo Machay, Puca Pucara and Qenko. The latter is an Inca sacrificial site carved with inscriptions. We have dinner at a local restaurant where. Overnight in Cuzco. Hotel Royal Inka II or similar. 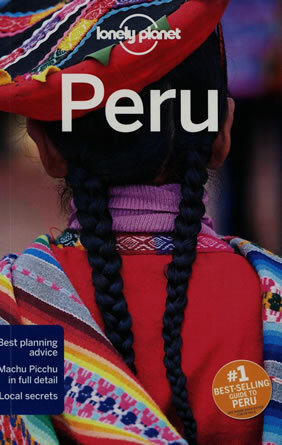 Today we take the "Andean Explorer" train from Cuzco to Puno, a full day's journey. From Cuzco, our train heads south-east, following the Huatanay River through green fields dotted with willow trees and eucalyptus groves, passing outlying communities gathered around colonial churches that conceal their artistic treasures behind crumbling adobe facades. The first half of the journey is dominated by magnificent Andes, towering over the deep valleys of the meandering Huatanay River. 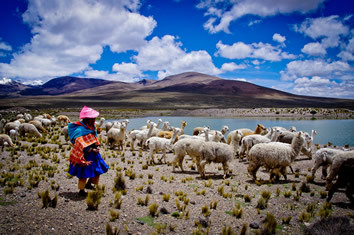 It then reaches the gentler, rolling Andean Plains, where vicuna and alpaca are often seen. This is a wild, high, windswept and sunburned prairie of isolated communities of shepherds and cattle farmers, wedged between the two distant branches of the Andes visible occasionally on either horizon, when not melting completely with the giant cumulus clouds that dominate the skyline. The train continues to climb La Raya, some 210 km (130 mi) from Puno. At 4321m (14,260 ft) above sea level, we reach the highest point on our journey, a cold, remote place whose surrounding snow-draped peaks are often shrouded by mist or fine rain, and whose eerie silence is at least partly attributable to eardrums blocked by the dizzying altitude. Puno, at 3830m (12,562 feet), is the main settlement on the Peruvian shore of Lake Titicaca and the highest place on our tour in which you will spend some time. Puno is the greatest centre of Peruvian folk dancing and traditional instruments; the markets and streets of Puno are bustling with the brightly coloured costumes of the different groups of the region. This evening you may like to enjoy a 'pena', a traditional Bolivian folk music performance (optional; subject to availability). The music is played on typical Andean instruments such as quenas, zamponas pan pipes and charangos, small, banjo-like instruments, the bodies of which are traditionally made from armadillo shells. Well-located, heated/air-conditioned, mid-range (3/4 star) hotels with en suite toilet and bath throughout (probably shower only). Single rooms are limited and likely smaller than doubles. Porter service is usually available though you should be independent with your luggage, especially at airports and train stations. Road transport by private air-conditioned motor coach, 24-36 seats depending on ultimate group size (see 'group size'). Numerous walking tours on uneven surfaces. Most of this tour occurs at high altitude and, though our itinerary spends a night at Yucay before climbing higher to Cuzco, some people are affected. Scenic VISTADOME train Aguas Calientes - Cuzco, Venice Simplon Orient-Express "Andean Explorer" train to Puno. Internal flight via scheduled local carrier. This tour is offered throughout the year. The cool and dry season runs from May to late October; outside this time you will encounter warmer but perhaps rainy / misty conditions in the mountains. Serious heat / humidity are only a consideration in Lima. Along with other rapidly developing countries in South America, Peru and, perhaps less so, Bolivia, are making great strides toward tolerance and equality. That said, both are still conservative in general and gay culture remains largely underground and confined to larger urban centres. The Internet and mass tourism have brought awareness and greater acceptance with the increased exchange of ideas and exposure to alternative lifestyles. Keeping it low key, indifference is the worst we ever encounter; the norm is a warm and friendly welcome. The following is a sampling of our preferred properties in some of the locations visited on this tour and is meant to be indicative only. Hotel properties are not confirmed until 30-60 days before trip date. Built against a mountainside and located in an 18th-century building, this hotel features cosy modern accommodation set around a colourful courtyard. 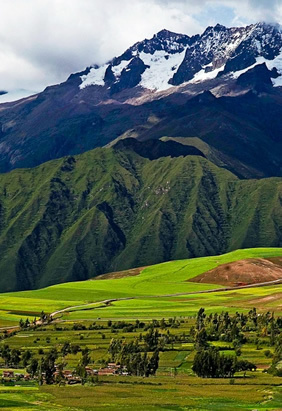 It is situated in the magical Sacred Valley. Rooms at Hotel La Casona De Yucay feature natural wooden floors and large windows offering panoramic garden and mountain views. They are decorated with traditional Inca fabrics. Room service is available 24/7. Guests are invited to an extensive buffet breakfast in the restaurant which also serves regional and international dishes during the evening. Social moments can be enjoyed in front of the communal fireplace which is located next to La Casona's bar. Situated in the heart of Machu Picchu town, the stylish El MaPi Hotel offers organic gastronomy and contemporary rooms. Rates include breakfast buffet and la carte dinner. El Bar serves tasty tapas, piscos and fine organic wines. The café offers a breakfast buffet with smoothies and Belgian waffles, and serves salads and soups made with fresh natural ingredients. The well-lit rooms at El MaPi by Inkaterra have thick beige blankets and large windows with blackout curtains. All offer cotton bathrobes, herbal amenities and a 32-inch cable TV. Free Wi-Fi is available. Guests are welcomed on arrival with a fresh lemongrass lemonade, and may request extra oxygen. Located in the heart of Cusco, charming Royal Inka II Hotel offers affordable rooms just a few minutes' walk from the Plaza de Armas, churches and museums. Free Wi-Fi is available. Rooms at the Royal Inka II have classical-style furnishings and include TV and heating. The Royal Inka's restaurant serves a large breakfast consisting of both cold and warm dishes, including omelettes, fresh rolls and juices. 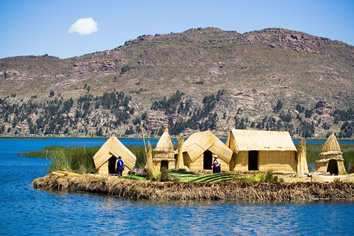 Rosario del Lago offers rooms with colonial architecture and views to the Titicaca Lake, in Bolivia. It has an artisan store and a restaurant serving trout and fine Bolivian wines. At Hotel Rosario del Lago, guests can also enjoy a barbecued meal in the garden, overlooking the lake. Vegetarian dishes are available. Facilities include internet access and a tour desk. For additional relaxation, there is a games room and a lounge with a fireplace. The accommodation at Rosario del Lago provides cable TV, telephone and heating. At any time, guests are welcomed to have a cup of hot tea. 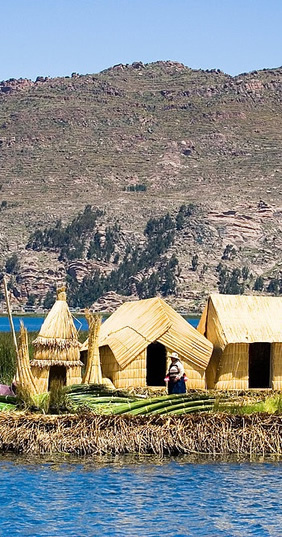 Located in Copacabana town, the hotel is only steps to the Titicaca Lake. The area is a pilgrimage centre and the starting point to get to Island of the Sun. Located in La Paz (Downtown La Paz), Real Plaza Hotel and Convention Center is minutes from Teatro al Aire Libre and Plaza del Estudiante. This hotel is within close proximity of National Archeology Museum and Mirador Laikakota. Make yourself at home in one of the air-conditioned rooms featuring minibars. Complimentary wired and wireless Internet access keeps you connected, and cable programming provides entertainment. Private bathrooms with bathtubs feature complimentary toiletries and bidets. Conveniences include phones, as well as desks and a turndown service. Grab a bite at one of the hotel's 2 restaurants, or stay in and take advantage of 24-hour room service. Quench your thirst with your favorite drink at a bar/lounge. A complimentary continental breakfast is served daily. Tour Only, Per Person, Double Occupancy.